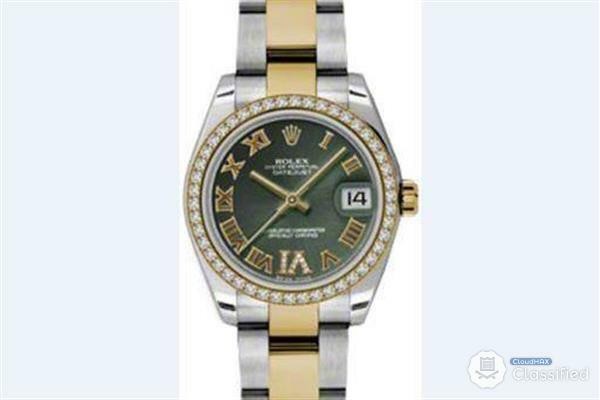 Model: Rolex Lady Datejust Half Gold Diamond Bezel Green Olive Size: 31mm diameter Case: Stainless steel Half Gold Diamond Bezel (11pcs Diamond @ IV) Movement: Automatic Cal.2235 Condition: Brand New (5yrs Warranty) Remarks: Box and cert available Price: Please inbox us for best deal! We provide guarante buy back on all our watches. Trade or sell your watches and get a better price with us!